Just announced Othercide. A promising Horror game with turn-based mechanics. The title is being developed at the French indie studio Lightbulb Crew. 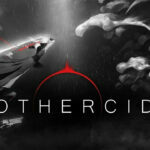 Othercide is a horror-themed tactical turn-based game set in an esoteric world beyond our reality. The game will place the player in control of female warriors, in a desperate struggle to push back nightmarish creatures and prevent reality from shattering. Using only black, white and touch of red, the game will drag players into a whole new universe for the genre, to experience a journey through a strange and unknown world, a world that lays behind the mirror of their own minds. More details about Othercide will perhaps be revealed at Gamescom this year. Below you can see the announcement trailer.